Members of the United Nations Committee against Torture have questioned the Hong Kong police’s use of force during last year’s pro-democracy Occupy protests. 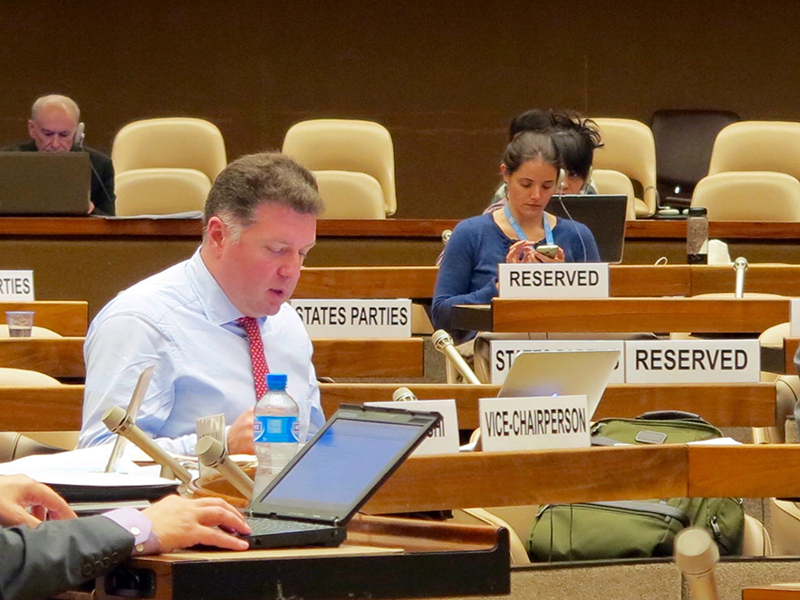 At a hearing session of the committee in Geneva on Wednesday, Vice-Chairperson George Tugushi asked representatives of the Hong Kong government about the kicking and punching of protesters by police officers. Tugushi questioned whether officers had been investigated and prosecuted, how many protesters had been prosecuted and how many demonstrators remained in detention. Hong Kong police during the Occupy protest. Photo: HKFP. 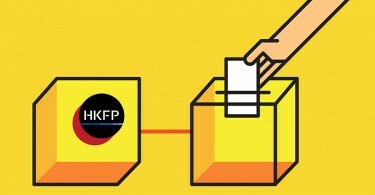 He also asked whether the Hong Kong government will pass legislation to replace current police guidelines concerning the use of force in order to increase transparency. Such a move would make the guidelines legally binding. Other members also enquired about the number and types of complaints against the police and their use of force during the protests. 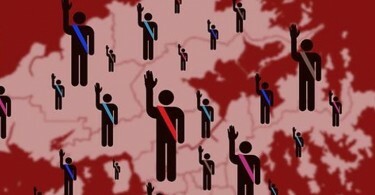 The members also said that the police complaint mechanism was not completely independent. They suggested that, other than increasing the power of the Independent Police Complaints Council, a new independent mechanism should be formed in order to monitor law enforcement’s use of force and actions related to torture. Vice-Chairperson George Tugushi of the Committee against Torture. Photo: Claudia Marianne Yip. 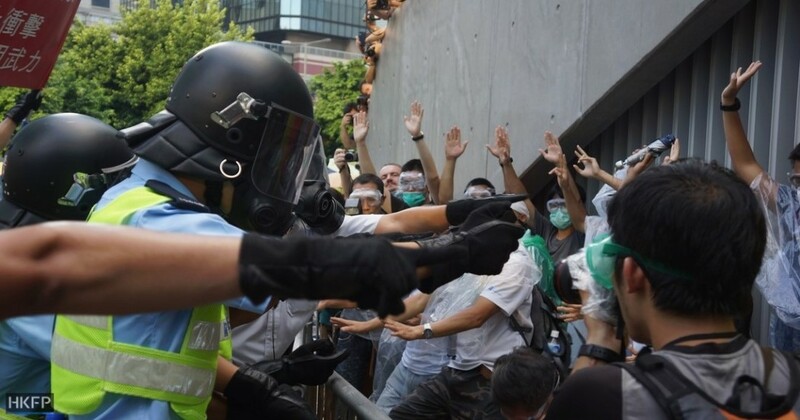 In response, D. C. Cheung, Principal Assistant Secretary of Constitutional and Mainland Affairs Bureau, said that no illegal acts by any police officers in Hong Kong were tolerated, and that seven police officers were charged for inflicting bodily injuries upon demonstrators during the protest. Hong Kong government representatives also said that protesters should be law-abiding and refrain from violence. All persons arrested during the 2014 demonstrations had been allowed access to lawyers and all had been released under various conditions, a representative from the government said. The representative added that, before using force, police officers should, whenever possible, give warnings, and exercise restraint. An effective two-tier complaint system was in place, they said. The Hong Kong delegation of civil organisation said the government was not directly replying to the questions of the members, and repeatedly talking about the current mechanism and its stance instead. The delegation added that they “felt regretful” that the government failed to promise to improve the flaws in the systems, such as the lack of an effective and independent mechanism for monitoring police. Hong Kong Human Rights Monitor director Law Yuk-kai. Photo: Claudia Marianne Yip. One committee member also asked the government about the treatment of persons with disabilities, physical or mental, in detention facilities. The member stressed that disabilities made them particularly vulnerable. Members also asked the government about the measures to ensure the rights of sexual minorities are protected, and whether the government will consider the risk of asking about the sexual orientation of asylum seekers when they were screened. Issues such as the high number of persons in solitary confinement Hong Kong prisons were also raised. The Hong Kong delegation of civil organisations said they welcomed suggestions from members and that they understood the situation in Hong Kong, giving reasonable and solid opinions. The delegation urged the government to seriously take the committee’s comments, and to take responsibility as a signatory of the United Nations Convention against Torture and Other Cruel, Inhuman or Degrading Treatment or Punishment, to improve human rights in Hong Kong. 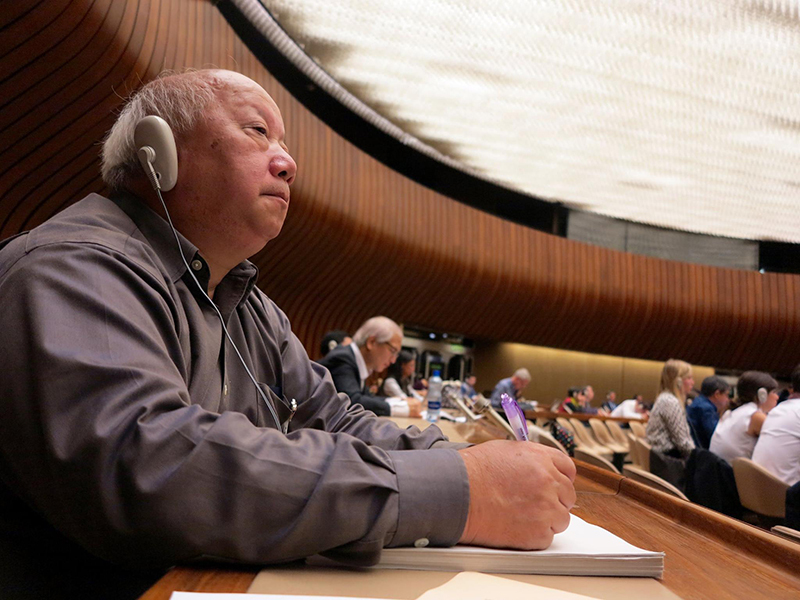 The Committee against Torture is expected to publish a report on the hearing next month, which will give suggestions on the implementation of the Convention Against Torture in Hong Kong.